G. Chandraiah And Challa Kodanda Ram, JJ. Challa Kodanda Ram, J. – The writ petition is filed by the petitioners questioning the order dated February 25, 2000, passed by the Settlement Commission (IT & WT), Additional Bench, Chennai/first respondent in S. A. No. 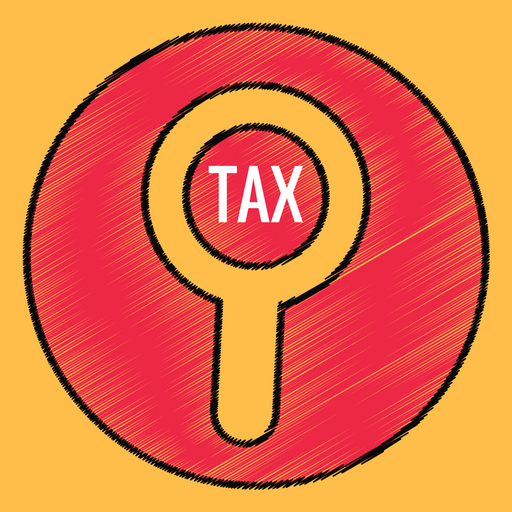 520/VIJ/40/99/IT, whereby the first respondent admitted the application filed by the second respondent for the purpose of considering the same under Chapter XIX-A of the Income-tax Act, 1961 (for short, “the Act”). (a) The report of the first petitioner and the written submissions filed on behalf of the Revenue were not adverted to. (b) The statements given by the assessee-second respondent during the search was voluntary. (c) The concealment has already been detected by the Department and to determine the undisclosed income, no complex investigation is required. (d) The assessee-second respondent can raise all his objections at the time of assessments before the Assessing Officer, when a notice under section 143(2) of the Act is issued. (e) The assessee-second respondent did not discharge the statutory liability of disclosing the income fully and truly. The entertainment of application would jeopardise the interests of the Revenue as there is a possibility of the assessment yielding huge undisclosed income. 3. A counter-affidavit has been filed by the second respondent denying the allegations made in the affidavit filed in support of the writ petition and stated that on December 19, 2000, by the time, the writ petition came to be admitted and interim order came to be passed, final orders were passed by the Settlement Commission on November 20, 2000, under section 245D(4) of the Act and in that view of the matter, the very writ petition itself had become infructuous. It was further averred that after considering the report filed by the first petitioner and considering the prima facie case of the second respondent, the first respondent admitted the case for consideration and issued notice. Thereafter, the first petitioner filed a detailed report raising various objections opposing the second respondent’s application under section 245C(1) of the Act and the second petitioner had appeared before the Settlement Commission all through and was aware of passing of the final orders. Inasmuch as the second respondent never chose to question the final orders passed by the Settlement Commission-first respondent, the second respondent prayed for dismissal of the writ petition. This counter-affidavit was filed by the second respondent on August 17, 2001. Thereafter, W. P. M. P. No. 28188 of 2002 came to be filed before this court on November 1, 2002, praying the court to amend the prayer in the main writ petition by inserting after the words “violative of the principles of natural justice and to set aside the same” add before the words “and to pass such order or orders” the following words “and, consequently, set aside the order dated November 20, 2000, passed under section 245D(4) of the Income-tax Act”. 4. In the affidavit sworn by one A. R. Reddy, S/o. A. Venkata Rami Reddy, Commissioner of Income-tax, Guntur, it is stated that “we understand that the first respondent passed the final orders under section 245D(4) of the Act on the second respondent’s application on November 20, 2000, even before filing of the writ petition on December 18, 2000. It is further stated that the copy of the said order was received in the office on December 21, 2000, i.e., after filing of the writ petition and passing of the interim orders in W. P. M. P. No. 32185 of 2000. Therefore, we did not have an occasion to challenge the order passed by the first respondent under section 245D(4) of the Act”. 5. Another counter-affidavit was filed by the second respondent opposing the prayer of amendment in the main writ petition and the W. P. M. P. No. 28188 of 2002 was not ordered by the court. However, the court ordered to post the connected W. P. M. Ps. along with the writ petition. In the additional counter-affidavit filed by the second respondent, it has been stated that after receipt of the orders of the Settlement Commission, the second petitioner passed the consequential orders on December 29, 2000, giving effect to the final orders of the first respondent dated December 20, 2000, and in fact a demand for additional tax was raised and the same has been paid. In that view of the matter, the challenge to the order of the Settlement Commission is unmeaning. The delay in seeking amendment of the prayer in the writ petition to include the questioning of final orders of the Settlement Commission, at this point of time, should not be allowed as the same would be putting the clock back and would cause great prejudice to the second respondent. 6. The learned counsel for the Revenue would submit that the order of the Settlement Commission passed under section 245D(1) of the Act suffers from grave irregularities of not adverting to the objections raised by the Commissioner of Income-tax, vide his report dated December 16, 1999, and also in not considering the written submissions of the Revenue filed through the Departmental representative (DR) at the time of raising preliminary objections at the stage of section 245D(1) of the Act for consideration. The learned counsel for the Revenue would draw the attention of the court to the application of the second respondent and would submit that there was no full and true disclosure of income which has not been disclosed before the Assessing Officer ; that the Settlement Commission ignoring the facts that a voluntary statement was given by the second respondent before the Assessing Officer admitting an undisclosed income of Rs. 1.2 crores for the block period ; the Settlement Commission erred in placing undue reliance on the second respondent attracting the statement given under section 132 of the Act and failed to appreciate the said attraction was a belated attraction after 11 months and as such the same ought to have been ignored by the Settlement Commission ; the contention of the second respondent that the writ petition has become infructuous is liable to be rejected as the challenge in the writ petition is to the case being admitted for consideration under section 245D(1) of the Act which itself is irregular ignoring the specific objections raised by the Department, the mere passing of the final order under section 245D(4) of the Act is of no consequence ; and as a matter of fact, an amendment petition, vide W. P. M. P. No. 28188 of 2002 challenging the final order dated February 25, 2000, and the same is listed along with the main writ petition and the learned counsel for the Revenue would finally pray for the court to allow both the W. P. M. P. No. 28188 of 2002 as well as the main writ petition. 7. The learned counsel, appearing for the second respondent, opposed for ordering of W. P. M. P. No. 28188 of 2002 and would submit that one of the grounds on which the amendment has been sought is violation of the principles of natural justice. 8. He would point out the orders passed by the Settlement Commission both at the stage of section 245D(1) and section 245D(4) of the Act and would point out that at every stage, the petitioners had participated in the proceedings and ample opportunity was given and it is not their case in the main writ petition or in the supplementary application that they did not have adequate opportunity to present their case before the Settlement Commission. It is only in the prayer portion they had brought the aspect of violation of the principles of natural justice without there being any factual foundation in the main affidavit. In that view of the matter, the learned counsel would oppose ordering of the amendment prayer and would submit that the petitioners were not diligent in prosecuting the case and they were really not aggrieved and no prejudice whatsoever is caused to the Department. He would further point out that the second petitioner all through was in fact participated in the proceedings before the first respondent and in fact he was the officer who passed the consequential order dated December 29, 2000, after the receipt of the final orders passed by the first respondent-Settlement Commission. He would further contend that the averments made in the counter-affidavit were not denied by the petitioners by filing reply. In that view of the matter, he prays for dismissal of the writ petition. 10. The significance of omission is to the effect that prior to its omission, it was obligatory on the part of the Settlement Commission to keep its hands off the case when an objection is raised by the Commissioner for consideration of case under section 245C(1) of the Act. Whereas now it is within the discretion of the Settlement Commission to admit a case for consideration or not This aspect of the matter which is noticed by the Supreme Court at page 453 of the very same judgment reported in Express Newspapers Ltd. (supra) referred to by the learned counsel for the Revenue. A reference may be made to “As originally enacted the main limb of sub-section (1) provided that on receipt of an application under section 245C, the Commission shall call for a report from the Commissioner with respect to the application. The decision whether to ‘allow the application to be proceeded with or reject the application’ had to be taken (a) on the basis of the material contained in the Commissioner’s report, and (b) having regard to the nature and circumstances of the case or the complexity of the investigation involved therein. The first proviso said that no such application shall be rejected unless an opportunity of hearing is afforded to the applicant. The second proviso to sub-section (1), however, provided that the Commission shall not proceed with the application filed under section 245C, if the Commissioner objected to the application being proceeded with on the ground that ‘concealment of particulars of income on the part of the applicant or perpetration of fraud by him for evading any tax or other sum chargeable or imposable under the Indian Income-tax Act, 1922 (11 of 1922), or under this Act has been established or is likely to be established by any income-tax authority, in relation to the case’. If the Commissioner objected on the ground aforesaid, the Commission could not proceed with the application under section 245C. (It is not necessary to decide, for the purpose of this case, whether the mere objection of the Commissioner sufficed and whether the Commission had no power to examine the correctness of the said objection). By the Finance Act, 1979, the second proviso was deleted. The main limb of sub-section (1) and the first proviso, however, remained untouched. In place of the second proviso, sub-section (1A) was introduced. The effect of this amendment was that the Commissioner’s objection ceased to be final and conclusive. The proviso to sub-section (1A) empowered the Commission to examine whether the objection of the Commissioner was correct or not. After hearing the Commissioner, if the Commission was satisfied that the objection of the Commissioner was not correct, it could proceed with the application”. 11. As a matter of fact, what all is required by the Settlement Commission at the stage of entertaining the application is whether a prima facie case is made out or not and in that context only subsequent amendments which have been brought in sections 245C and 245D of the Act had dispensed with even issuing a preliminary notice to the Commissioner of Income-tax leaving it to the absolute discretion of the Settlement Commission to entertain a case or not for its consideration. The reasons for giving such discretion to the Commission cannot be lost sight particularly keeping in view of the objects of establishment of the Settlement Commission and to settle the disputes between the taxpayer and the Department in an amicable manner. As a matter of fact, the recent legislative efforts in bringing section 268A of the Act and in issuing various circulars whereby restraining the Department officials to file appeals and further appeals in all and sundry cases recognising futility of such exercise may be noticed. A close perusal of the order passed by the Settlement Commission, both at the stage of admission and also at the stage of passing of the final order, we find, as a matter of fact, ample opportunity was given to the Department to file their objections and also the representatives of the Department were heard before passing the orders and in that view of the matter, we are unable to concur with the contention of the learned counsel for the petitioner that the order is vitiated on account of violation of the principles of natural justice. Inasmuch as we are satisfied that it was within the discretion of the Settlement Commission at the stage of section 245D(1) of the Act to admit a case for consideration based on the prima facie view, the aspect of admission of a case by the Settlement Commission except in exceptional circumstances cannot be the subject matter of a judicial review. This becomes clear from the law laid down in a catena of judgments with reference to the restricted scope of interference by the courts even with the final orders of the Settlement Commission. In that view of the matter, we do not see any reasons to order the amendment petition. Accordingly, the W. P. M. P. No. 28188 of 2002 is dismissed. 12. Further, for the reasons stated above, we also do not find any reasons to interfere with the discretionary orders passed by the first respondent-Settlement Commission under section 245D(1) of the Act admitting the case which in fact fructified into a final order, given effect to and implemented as long as on December 29, 2000. 13. Accordingly, the writ petition is dismissed. No order as to costs. Miscellaneous petitions, if any, pending in this writ petition, shall stand closed. This entry was posted in Sec. 245D and tagged 364 ITR, Andhra Pradesh High Court, In favour of Assessee.